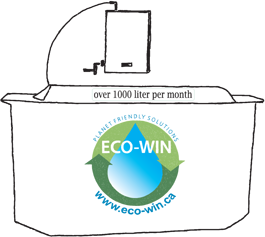 EWWF Systems Ltd is the second largest manufacturer and distributor of recycled anti-freeze and bulk windshield washer fluid in British Columbia; EWWF is committed to helping the automotive industry become more environmentally friendly. 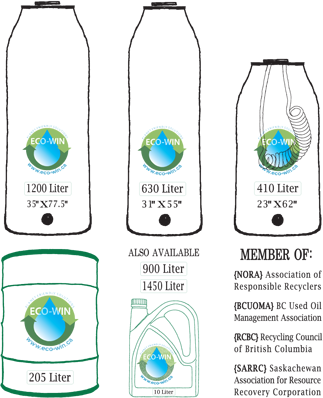 Over the past twenty years, EWWF has remanufactured and delivered over five million litres of anti-freeze and millions of litres of windshield washer fluid throughout British Columbia. We are one of two approved BCUOMA (BC Used Oil Management Association) collectors and processors of anti-freeze and the only approved member of SARRC (Saskatchewan Association of Resource Recovery Corp). EWWF's self-developed glycol recycling system is one of the industry's lowest emission producers. Our double-vacuum distillation process reclaims up to 95% of the waste anti-freeze and produces 99% pure glycol that meets most ASTM standards. We have also developed a range of application specific dispensing systems for both products reducing price and product handling while improving productivity and lessening environmental impact. This automated dispensing system is fully serviced by our certified technicians. It lowers your product cost, reduces waste and eliminates product handling.